As we begin Notebook Five, Saint Faustina’s understanding of the Mercy of God should be more alive to you. Hopefully you have a deeper understanding of the infinite love of God and His burning desire to embrace you, free you from the burden of sin, and shower you with His grace. It should also be clear that God is silent at times so as to strengthen you, purify you and deepen your trust in Him. God’s wisdom and His ways are beyond what we could ever imagine. He is perfect in His love and you must have full confidence in the direction He gives to your life. As we enter into this notebook, try to believe and live all that you have read so far. It’s one thing to believe it intellectually, it’s quite another thing to believe it with your actions. You must believe in the Mercy of God with your actions. You must let all that you have read take hold of you and direct the way you live. One way to do this is to go back to any reflections that have stood out so far. If something has stood out, be it a particular reflection or a general theme, pay attention to that. The Message of Mercy is broad and all encompassing, but it’s also particular to you. Let the Lord speak directly to you revealing the specific truths that you need to embrace the most. Imagine being a small child on a small boat in the middle of the sea. A storm sets in and you cannot see land in any direction. You are tossed and turned in the waves as they cover the bow with each crash and you wonder how you will survive. Now imagine that your dad is also on the boat with you. He tells you to sit and hold on and that all will be well. He is confident and in charge and shows no fear. The confidence that your father exudes calms you and you trust that he will keep you safe. This is an image of our lives. When we face a crisis we must realize that we are but a child in the midst of the stormy sea in need of our Merciful Lord. It would be foolish for a child to try to take charge of the boat. It would also be foolish for us to try to direct our own lives. We need the steady confidence of Jesus to put our hearts at rest. The Lord must be your Helmsman whenever the waves begin to rise. Do not doubt His ability to handle everything in life (See Diary #1322). What do you do when the storms of life set in? Do you panic? Do you try to take control and handle things on your own? Or do you turn your eyes to the strength and confidence of our Lord and let Him take control of the situation? Turning to Jesus is not simply a matter of sitting back and doing nothing. Rather, turning to Him in abandon is an act of the greatest trust. That trust, when all seems chaotic and overwhelming, opens the door to His peace and keeps you safe and still no matter what comes your way. Reflect upon the way you handle difficulties in life and make the conscious choice to turn to the Divine Helmsman to direct your life through the storm. Lord, I turn to You in confidence and choose to put my full trust in You. I know that You can handle all things and that Your love and care will keep me safe. Increase my confidence in You, dear Lord, and help my heart to always remain at peace. Jesus, I trust in You. Have you ever made a retreat? Some are privileged to take time away from the busyness of life so as to spend an extended time listening to our Lord and being in His merciful presence. Others find it hard to find even a day to enter such a retreat. Regardless of whether you have or have not had this opportunity, know that you need time alone with Jesus. It is not possible to speak to Him only during your busy day and maintain a proper relationship with Him. The depth of the relationship desired by Jesus requires time set aside solely for Him. Seek these opportunities and do not neglect them. It is through moments of extended prayer and reflection that life is clarified and the Will of God is made manifest (See Diary #1326-1327). When is the last time you spent an extended amount of time alone with our Lord? Perhaps it was only an hour in the chapel or in your room, or perhaps it was longer. Think about how much time you give to Him. We often can find plenty of time to watch a movie, go shopping, or engage in some other recreational activity. The truth is that if we make time alone with our Lord a priority in life, it will happen. We will find the time and our time with Him will be abundantly fruitful. Ponder the level of priority that you give to these moments of quiet reflection with our Lord and recommit yourself to making them the most important part of your life. If you do so, all else will fall into place as His Mercy is poured forth. Lord, I desire to make You the number one priority in my life. I desire to make time for You on a daily basis and to find an extended period of time for You regularly. Help me to have the will to do this so that I may bask in Your presence and allow You to sort through the difficulties I face in life. Jesus, I trust in You. God created us with passions. These can be either great blessings in our Christian walk or they can become great snares. It all depends on what controls each passion. Passions of anger, for example, can either be used for good or ill. When anger takes over and the source of this anger is a wound or lack of mercy toward another, then we become bound by this sin. But holy anger is a gift from God in that the Lord may inspire us to be “fierce” in one act or another. A parent protecting an innocent child from danger or the direct confrontation with evil may require a certain holy anger as a supporting force. Sexual passions are the same way. When they are used for marital union in accord with God’s design, they are holy. When they are the source of adultery, self-gratification, or any other form of lust, they do us great damage. Seek to be free from unruly passions and allow the Mercy of God to so consume them that these natural gifts are given over to the service of love and the Will of God (See Diary #1331). Are your passions under the control of the powerful Mercy of God or do your passions control you? This is an important question to honestly answer. Passions, when they become strong and untamed, can be hard to control. But when properly surrendered to God, they become a great motivating source of love. Reflect honestly upon your struggle with your passions. Know that God wants to turn them into a great blessing and a source of much mercy in your life. Turn them over to Him, over and over, through prayer, fasting and Confession and the Lord will bring order and stability to these natural gifts. Lord, I offer You my heart, my soul, my body, my mind and my passions. Please bring order and stability to me in every way and use me as an instrument of Your holy and passionate Love. Jesus, I trust in You. Perhaps thinking about your death is frightening. It may not be something that you actually consider very often. But it is a grace to be able to look at one’s death directly and with full confidence. And this is only possible to do with full confidence if your life is in order and given completely to God. If you can honestly look into your soul and see that you have made holiness your ultimate goal, then you can also look directly at death with peace and calm. What is there to fear in that case? What is there to fear if you have dealt with the sin and regrets you have? There is nothing to fear in this case. Death, to the holy soul, is a reward and a journey to look forward to with delight and anticipation (See Diary #1343). Try to do this simple exercise today of imagining this as being your last day on Earth. Perhaps you immediately think about family or other tasks that you need to complete first to prepare. Or perhaps you are filled with fear because you are aware of your sin. First, try to set aside the practical tasks that would be left unfinished and even try to set aside your concern for your family and friends. Though these are good and holy concerns, it is helpful to look at death only in regard to the condition of your soul. If you were to die today, would you be able to look at the merciful Heart of our Lord and tell Him, honestly, that you die with Him as your greatest love? Could you say to Him that His Will is your primary goal in life? If not, reflect upon any obstacle you see and use this meditation to take an honest inventory of your life. Lord, I know that Heaven must be my goal and my focus in life. Help me to put my eyes upon You and all that awaits. Help me to also look honestly at the condition of my soul and to identify any obstacle in the way of my holiness. I love You, dear Lord, help me to make You the central focus of my life. Jesus, I trust in You. If you could pick two things to gaze at, what would they be? Ideally, the two greatest things to gaze at are the Mercy of God and your own misery. Most likely, it immediately makes sense that the Mercy of God would be one of the most important things to gaze at, but the wisdom of gazing at your own misery may not be immediately apparent. What we need to understand is that there is danger in seeing only one or the other. If you were to focus in on the Mercy of God without also seeing your misery, then you would not be in a position to invite that Mercy into the parts of your life that need it the most. And if you were to gaze at your misery without also seeing the Mercy of God, you would be led into despair. The Mercy of God is given so that every sin, hurt, confusion, struggle and the like will have a remedy. Our Lord longs to heal us and lift our burdens. Allow His Mercy to meet all that burdens you and His Mercy will achieve its end (See Diary #1345). Try to take some time to quietly and reflectively gaze at both God’s Mercy and your own inner burdens. As you look at both, try to imagine them meeting within the sanctuary of your soul. Let the Mercy of God fuse with any misery you experience in life and, in that act, you will be allowing God to do what He longs to do. Lord, please have Mercy on me and heal me. Help me to see the areas of my life that are in grave need of Your Mercy. As I see them, help me to also fix my eyes upon Your Sacred Heart from which Mercy and grace flow. In this gaze, may I discover Your unending compassion and love and so be healed of all that burdens me. Jesus, I trust in You. Are you willing to accept the Will of God in your life? If so, you must be open to all the details. God’s Will is not some grandiose generalization. Choosing His Will is not simply a matter of saying that you choose to follow Him with broad strokes. Rather, choosing His Will is saying “Yes” over and over to every little prompting and every inspiration that the Lord gives. It’s about building a habit of attentiveness to the small ways that God speaks to you. Mercy is also in the details since Mercy and the Will of God are one and the same. Being open to the Mercy of God means that you come to realize that God wants to enter into the most “insignificant” parts of your life. The truth is that nothing in your life is insignificant to our Lord. Therefore, you must realize that those parts that you perceive as insignificant are very dear to Him. His care and concern reaches far and wide and is offered at every moment to every detail that makes up the apparent complexity of your life. When you realize this, you will, in turn, want to seek the fine details of His holy Will. You will want to serve Him in every way possible and, in so doing, you will be living in His merciful Will (See Diary #1356). Reflect today on the small things in your life. What is it that, at first thought, seems far from the Will of God? Knowing that every little detail of your life is important to our Lord and is always in His sight will give you a new perspective. As you reflect upon the small things that make up your life, turn them over to the Will of God and invite His Mercy into those details. Doing so will lead you down the path of true happiness. Lord, I offer You, this day, every part of my life. Thank You for Your perfect love and concern. Help me to love You in the details, embracing Your perfect Will in all things. May I never tire of allowing Your Mercy to enter so as to produce the smallest acts of love. Jesus, I trust in You. One very common tendency and temptation most people struggle with is to become fixated upon sufferings, humiliations and the false opinions of others. When we experience one or more of these burdens, we can be tempted to make them the central focus of our life. For example, if you are unjustly humiliated and others have an erroneous opinion of you, it can be exceptionally hard to keep this from dominating your thoughts. Similarly, whatever it is that causes you grief or suffering can easily become the focal point of your life. These tendencies must be overcome by a commitment to look beyond these obstacles and to gaze only on the Truth. What is the Truth? It’s that which is in the Mind of God. Nothing less, nothing more, nothing other. As you seek to look beyond the struggles of life and focus only on the Truth, you will discover God’s glorious Will. His Will always offers us hope, confidence and joy as we move forward in life (See Diary #1360). What is it that dominates your attention? What is it that you are most aware of day after day? If you tend to let yourself become drawn into the confusions of life, work to change the focus of your attention. Instead, look only at the Will of God. His Will is glorious, inspiring, hopeful and renewing. Pay no attention to anything that is not contained within His Divine Will and the confusion, hurt and humiliation that you struggle with will slowly disappear as it is overwhelmed by the Mercy of God. Lord, help me to remain focused on the Truth as it is seen by Your watchful eye and known by Your perfect Mind. Help me to discover Your Will as the only Truth that I must know and help me to embrace Your Will with my whole being. Jesus, I trust in You. No one can see your heart except you and God. God is aware of every detail of your interior life to a perfect degree; you see the details of your interior life to an imperfect degree. Nonetheless, it is important to become increasingly aware of the reality of your inner life. See your soul as a hidden and secret world in which the Mercy of God resides. Allow the inner chambers of your heart to become consumed with the love of God. This holy and pure love of God must direct all things within you. And although others will not see that which takes place within you, they will see the good fruits that come forth from your life and these good fruits will become an exterior witness to the Mercy of God alive within you. Though the inner life is hidden, it must become manifest so that the secret workings of God will produce Mercy in a visible and radiant way (See Diary #1363). Are you aware of the powerful work of God within your soul? Are you attentive to His merciful hand, leading you and guiding you within this secret sanctuary of your interior life? Fix your interior gaze upon the pure love of God and allow this hidden place to bring forth an abundance of good fruit. As the good fruit of your life is produced, allow it to be made manifest for the world to see and to be inspired and changed by the Mercy of God coming forth from you. Ponder today this direct connection between your interior and exterior and allow your heart to shine forth. Lord, I love You with a burning love. Please continually purify my heart so that Your grace may become active and alive within my soul. As You work Your miracles of grace in my life, bring forth the good fruit of Mercy in my exterior actions so that Your works will become a public testimony to the pure love that is alive in my heart. Jesus, I trust in You. The pinnacle of our relationship with God includes being stripped of every other earthly tie so that nothing holds us back from running toward God with great passion and purpose. We must be freed of every attachment in this life so that our one attachment is God and His holy Will. This does not mean we ought to neglect our love for others. This is especially true with family love. Love for those in your family must take on a special focus and become total and irrevocable. However, there is a difference between loving your family with a perfect love and being attached to them in an earthly way. In fact, holy detachment is necessary if you are to love with the Heart of Christ. Loving Jesus as your one desire in life will direct you to Him through others. You will love Christ in your family and in all aspects of your earthly vocation. But your love for all will be a love for Christ when you love Him with this perfect love. When this happens, every other attachment will be transformed into your love of God (See Diary #1365). What do you love in this world? What is it that you are attached to? Think about your greatest earthly loves. Hopefully these loves include family members and others whom God has put in your life. Now examine those loves and ponder whether they are centered in Christ. By loving them are you actually loving God? Or do these earthly loves remain ends in themselves? Reflect upon the goal of making love of God the one and only focus of your life and try to discover how you love God in and through every other person and every aspect of your life. My Lord, I love You and desire to love You above all else and in all else. May You become the one and only goal of my love. As I love You in all Your creatures may I be drawn closer to You and lavish Your perfect mercy upon their lives. Jesus, I trust in You. It is a common practice for those who are married to renew their vows from time to time, especially on significant anniversaries. The renewal of vows and promises also takes place by priests and religious. This practice is a good and holy one in that we must constantly renew our total dedication to God in our vocation. But the renewal of vows and promises to God should go beyond our particular vocations and enter every universal vocation to holiness. Through Baptism, Confirmation and Holy Communion you have been given over to God for His service. You are His and He is yours and this mutual exchange of your hearts must be renewed daily. In fact, the reception of Holy Communion has this renewal as one of its goals. Not only do you receive our Lord into your soul in this precious gift, you also renew your total self-giving to God through its reception. As you daily renew your total commitment to our Lord, allow Him to consume every part of your life as if a blazing fire were consuming a log. Allow your renewal to consume your sin, weakness, sufferings and even joys. Let everything in your life be for the glory of God and the manifestation of His Divine Mercy (See Diary #1369). Ponder today how often you renew your total commitment to our Lord and His holy Will. Reflect upon the image of a blazing fire consuming a log. See this as an image of what happens when you renew your love of God and your commitment to Him through your vocation to holiness. Hold nothing back, surrendering all each and every day. Let God consume you completely, transforming you into His Mercy. Lord, I renew, today, the vows of my Baptism, Confirmation and Holy Eucharist. I renew the total dedication of my life to You and surrender all for Your service. Receive me, Lord, and do with me as You will. I am Yours, Lord, given without reserve. Jesus, I trust in You. At first thought, “humdrum” and “glory” may not appear to go together unless they were used in contrast. But these two words are married together in the Mind of God. They are “married” in the sense that we are able to glorify God and obtain holiness through our day-to-day humdrum duties. Though this may not be immediately apparent, understanding this unlocks a door to the treasures of Heaven in countless ways. By discovering this deep spiritual truth you are able to offer every moment of every day to God and win His abundant Mercy through every action of your life. For example, even your breathing can become a source of the Mercy of God when you offer it to Him for His glory. If that doesn’t make immediate sense to you don’t dismiss it. Seek to offer and sanctify every action and you will begin to discover that every action of every day can become a source of the continual outpouring of the Mercy of God (See Diary #1373). Try a simple exercise today. As you breath in, pray interiorly that the Will of God enters your soul, and as you breathe out, offer your own selfishness to God. Try to think about this as often as you can throughout the day. Pretty soon you will discover that you are glorifying God even through this most basic human act. Discovering this will help you realize that every act of your day, no matter how small, can become a source of the outpouring of the Mercy of God. Lord, as I breathe in I invite Your perfect Will and Mercy into my life. And as I breathe out, I submit to Your Mercy all my sin and self-will. Jesus, please consume every act I do this day. May even the smallest act be done for You and for Your glory. Nothing is too small for You, dear Lord. May I discover Your abundant Mercy in all things throughout my day so that my life may become a continual offering to You and a constant instrument of Your Mercy. Jesus, I trust in You. Tension is often a part of life. Some deal with much tension, frustration and even extreme anger in their daily lives. At first, the anger of another can set you on guard and tempt you to fear. This is a normal reaction. The anger of another can also push you to react and to fight back with anger, spite and bitterness of your own. You may get defensive and even lash out. But the Mercy of God is able to bring peace to any situation. His Mercy is bestowed when you turn a blind eye to the anger you face from another and speak as sweetly to them as you would to Jesus. Leave the wrath of God to God. If He inspires you to bring forth His holy wrath, you will know what to say and how to say it and this will be an act of His Mercy. But don’t be surprised if God inspires you to act with extraordinary kindness in such a situation. This takes great resolve and a tremendous amount of patience. Do not allow yourself to become engaged by or tangled in the irrational wrath of another. Instead, let the peace of God’s Mercy so flood your soul that, through you, His grace dispels all vice (See Diary #1377). Reflect upon any regular situations of tension and anger you deal with. Perhaps you are the cause or perhaps you are the target. Whatever the case may be, know that God’s peace can reign. Seek His peace, keep your eyes upon it and allow this firm focus to become a source of His abundant Mercy. He loves you and wants to free you from these burdens. Lord, I invite You into the tension in my life. First, I surrender my own frustrations and anger to You. Please free me from these unruly passions and replace them with Your peace. Help me also, dear Lord, when I face the unjust wrath of another. Keep me calm and focused upon Your Heart. Help me to react as You will and to be an instrument of Your peace. Jesus, I trust in You. Saint Faustina was asked to have an image of Jesus painted with rays of Mercy flowing from His Heart. She did so and Jesus affirmed to her that many souls would be drawn to Him through this image. It’s interesting to think about the importance that Jesus and Saint Faustina gave to this image. Indeed it speaks volumes regarding the Mercy flowing radiantly from His wounded Heart. It’s also insightful to think about this in a more general way, namely, that a sacred image of any sort can become a source of Mercy. But the reason for this is that sacred art speaks a language. It communicates the Gospel message and meditating upon a sacred image opens your heart to hear God speak in a new way (See Diary #1379). Reflect upon the Gospel images that you have in your home. Do you have many or very few? Do not shy away from filling your home with sacred images reflecting the message of the Gospel. Additionally, it is important to spend time in prayer with these images. Take a moment today to find the image of Divine Mercy that our Lord asked Saint Faustina to have painted. Spend quiet time looking at it and “listening” to it. What does God say to you through this image? He will certainly speak the fundamental message of His Mercy in that the rays of blood and water shine forth from His wounded Heart in a radiant way. These rays cover the Earth and shine on you day and night. But what else does God say to you through this image? Spending time prayerfully gazing upon this image and others will allow you to hear God speak of the mysteries of His love. Lord, I know that any representation of You is but a drop of water compared to the reality. Help me in my prayer to be drawn into the reality of Your perfect love and Mercy as I meditate upon the sacredness that holy images represent. May I meet You, dear Lord, through these treasures of art and grace. Jesus, I trust in You. Do you ignore God? It’s far too easy to do and, therefore, all too common. Very often, God is ignored after receiving Holy Communion. Many people get in the habit of coming forward to receive Him and do so with many distractions and little attention to the sacredness of this encounter. Do not allow yourself to fall into this habit. Receiving our Lord in Holy Communion must become a profoundly intimate encounter. Our souls are fused as one in this moment and we must be attentive to this reality. Though Holy Communion is the most profound encounter we can have with our Lord, we must be deeply aware of His presence all the time. When we pray to Him, we must allow ourselves to not only say prayers, but to be drawn into His glorious presence and consumed by His Mercy. As we go throughout our day, we must be constantly aware of Him walking with us, leading us and speaking to us. Do not ignore our Lord. If you find that you do this at times, or if it has become a regular habit, know that the opposite habit can be formed. Making regular choices to be aware of Him within you and all around you will open the door to you walking in His Mercy every day (See Diary #1385). Reflect upon your attentiveness to our Lord as honestly as you can. Reflect, especially, upon your attentiveness to Him as He comes to you in Holy Communion. Seek Him, listen to Him and receive Him and your life will take on a new direction. Lord, I know that I ignore You at times and that I fail to be attentive to Your gentle and holy Voice speaking in the depths of my conscience. I know that I do not properly reverence You and adore You in the countless ways that You come to me. Give me the grace to form a holy habit of always knowing that You are near. As I form this habit, give me the grace to love You with all my heart. Jesus, I trust in You. At times, when we love God with a profound love, we may find that we have strong impulsions to do great things for God. And yet, despite our desire and firm resolve, it can seem as if God is not permitting our work to move forward. This may be because the Lord is not ready to act. Though it’s good to have a strong desire to do great things for God, we must always remember that our desires must align with the perfect timing and wisdom of the Will of God. He knows best and He will allow the work He inspires to come to fruition when He wills it, not before. Surrendering your impulsions to God is a way of letting God purify the work He calls you to do so that it is ultimately His work in us and not our own work done in accord with our own idea of what is good. God’s Will is immovable and all the longings and desire in the world will not move Him to act contrary to His perfect plan set forth at the perfect time. Humble yourself before God so that He will bless the world with His Mercy through You in the way He desires (See Diary #1389). Do you have a heart filled with the desire to serve our Lord? Hopefully you do. Reflect upon these desires and know that they please our Lord. But also reflect upon the fact that, if they are to come to perfection, even the most pure desire must be submitted to the Will of God. Make that prayerful resolution today and God will use your heartfelt desire to manifest His Heart of Mercy to the world. Lord, I do desire to serve You with all my heart. Please increase that desire and purify it so that my will dissolves into Yours. Help me to let go of even my “good” ideas as I submit to Your wisdom and love. I do love You, dear Lord, and desire to be used by You in accord with Your perfect Will. Jesus, I trust in You. This heading may not seem immediately attractive to you. Who would want to endure these things? But we ought to remember that Jesus endured them all to the greatest degree. Was Jesus happy? Was His soul at peace? Most certainly. This reveals to us that these crosses in life cannot ultimately do us harm if we are immersed in the presence of God. Remember Jesus agonizing in the Garden, or the mockery He endured, or the rejection that many directed at Him, yet in all of this He remained in a peaceful repose. Nothing in this world can steal us away from a profound peace if we remain immersed in the presence of God. All the suffering, persecution, abuse and disgrace in the world cannot ultimately have victory over a soul given to God (See Diary #1394). Reflect upon that which has the effect of stealing your peace away. If you were perfect, this would not happen. That may be hard to accept but it’s true. We easily point to this or that as the source of our unrest when the source is always within. It’s either a sin we have clung to, such as anger, or a sin of omission, such as a lack of trust. Whatever your experience is, do not get caught up on your sin. Simply turn your eyes to our merciful Lord and know that He can keep you in His peace through anything if you let Him. Lord, I invite You to take control of all my inner thoughts, feelings and emotions. Bring stillness and peace to my heart as I continue through this life filled with struggle. When I experience the harshness of others, help me to use that as an opportunity for greater trust in Your Mercy. I know that in all things I can remain wrapped in Your arms of grace. I give myself to You, dear Lord, please protect me and keep me close to Your Heart. Jesus, I trust in You. One common temptation that many face is that of living either in the past or in the future, and failing to live in the present moment. You live in the past when you remain controlled by past events, sins, hurts, etc. The past must be healed and your sins of the past must be forgiven. Once that is done, you must let go of the past and not allow it to affect you in a negative way. The past can affect you for good when 1) you learn from the mistakes you have made, 2) you are strengthened by the healing of past hurts, 3) you continue to rejoice in all that God has done for you. You are affected negatively by the past when you dwell on your past sins and hurts, failing to seek forgiveness and healing. You live in the future when your mind is constantly obsessed with that which is out of your control. It’s easy to fear the future or to be anxious about it, but you must remember that the future is not yet here and you ought not allow fears or worries about it to cause undue stress. All we have is the present moment. Therefore, it must be your constant goal to live each moment, day by day, hour by hour and minute by minute. Be present to the present moment. Embrace it, live it and encounter the love and Mercy of God as He is present to you here and now (See Diary #1400). Do you struggle letting go of the past or trying to control the future? Seek to embrace this present moment and all will be well. Reflect upon this tendency and especially look at what God wants of you today. Keep your focus upon this present moment and seek to meet our Lord in it. His Mercy awaits you here and now. Lord, I offer to You all the events of my past and entrust to Your care all that will happen in the future. Free me from past hurts and sins, and alleviate my worries about the future. Help me to meet You and Your abundant Mercy in this present moment alone. Jesus, I trust in You. The evil one hates you with a profound hate. And the closer you draw to God, fulfilling His Divine Will, the more he will seek to attack you. Do not fear the bark of this little dog. One of the most common ways the evil one attempts to deceive you is by presenting himself as an angel of light. He does this by using his natural angelic powers of influence, speaking lies that have a faint resemblance to the truth. He rarely speaks outright with obvious lies since he knows we would immediately identify him as the source. Instead, he seeks to manipulate the truth and lead you into confusion, tempting you to doubt the truths that God has spoken and to doubt the holy Will of God. He may subtly remind you of your past sins and weaknesses while trying to mask the infinite Mercy of God which eliminates those sins and manifests its power through your weakness. He may tempt you to discouragement and despair, removing from your heart the hope you have been given in Christ Jesus. He may tempt you to anger and resentment leading you to believe that you are justified in holding on to these feelings. Whatever the case may be, the evil one is a slippery liar and you must overcome his deceit by turning constantly to the truth of the Mercy of God (See Diary #1405). Reflect upon the subtle lies that you have allowed yourself to believe. Whatever they are, you will know them by their fruits: sadness, anger, hurt, confusion and the like. Identify these and dismiss them through prayer. Allow the Mercy of the Lord’s Truth to permeate your soul and set you free. Lord, help me to know the truth and to be set free through this knowledge. Please protect me from the subtle lies and deceptions of the evil one. I rebuke him in Your holy Name and entrust myself to Your protecting Hand. Jesus, I trust in You. What is it that is most dear to the heart of our Blessed Mother? If she were to appear to you and offer you her greatest desire for you, what would it be? Perhaps there would be some specific need that she has been made aware of by God for your life, but in addition to this she would most certainly call you to the virtues of humility, purity and love of God. We especially see these holy virtues alive in her life. Our Blessed Mother was humble in many ways. She was The Immaculate Conception, freed from all sin and the most glorious creation of God, yet while on Earth she was hidden and even thought to be a sinner on account of Jesus being conceived before she was married. However, she lived perfect purity in her life which was the source of her most perfect love for Jesus, Joseph and everyone else she encountered. Her purity enabled her to love others with the utmost dignity and respect. Her love of God was also perfect in every way and was made manifest by her total submission to His holy Will. She said, “Let it be done to me according to Your Will.” She meant that and lived it. Allow this witness of our Blessed Mother to call you to embrace these holy virtues so as to imitate and share in her glory and holiness (See Diary #1415). Reflect upon these three virtues in your life. How well do you manifest them? Think about how they would have been lived in the life of our Blessed Mother and seek her powerful intercession so that you may imitate these virtues which she lived to perfection. Dearest Mother, I gaze upon your beauty and upon the virtues that radiate from your life. I especially rejoice in your humility, purity and love of God. Help me to imitate these virtues in my own life so that I may imitate your beauty and holiness. Mother Mary, pray for me. Jesus, I trust in You. “Ignominy” could mean public shame, disgrace, humiliation and embarrassment. But it takes on special meaning when applied to Jesus. The “cloak of ignominy” refers to the public humiliation that Jesus endured as a result of His Cross. He was condemned as a sinner and liar. He was charged with deceiving the people and attempting to undermine the civil authorities. He was the object of extreme hate and ultimate persecution by the religious leaders of His day. This was a brutal blow. If Jesus would have had the sin of pride He would clearly not have been able to endure their scorn and mistreatment. He would have brought forth a myriad of angels to destroy His persecutors. But He didn’t. Instead, He endured every humiliation with confidence and integrity. The sufferings Jesus endured never evoked in Him even a single feeling of hatred or revenge. In fact, from the Cross itself He cried out, “Father, forgive them, they know not what they do.” This powerful witness must influence you and strengthen you to pay no attention whatsoever to the false judgment of others. God has no concern about false judgments and the public humiliation that these judgments impose. Embracing the “cloak of ignominy” means you ultimately allow every worldly humiliation to dissipate before the Mercy and truth of God (See Diary 1418). Reflect upon this struggle within you. It requires great humility to ignore false opinions. Seek to embrace that humility and allow the truth to make you free. Jesus’ “cloak” must cover you since it is ultimately a cloak of His grace and Mercy. Lord, I take upon myself Your cloak of ignominy. I wear it with confidence and trust. Help my only care to be Your truth and to shed all other opinions that are contrary. My happiness rests in You alone, dear Lord, and all my hope is in You. Jesus, I trust in You. If you are given the glorious gift of a deep faith, many will see this and rejoice in it. But it may be the occasion for some to have jealousy. This is a sad and painful experience. Know that the jealousy of another is not caused by you or by your faith, it is caused by their sin. Therefore, if you experience the jealousy or ridicule of another stemming from their jealousy, do not be alarmed. Certainly it is appropriate to feel holy sorrow over their action, but that sorrow must not turn into a wound. Instead, pay no attention to the mistreatment of another other than this holy sorrow that leads to silent surrender to God. Pray for this person and have great hope that their sin will be realized by them and that they will repent. Your hope, your silent suffering, and your holy sorrow will become an act of Mercy to them allowing them to see the effects of their sin (See Diary #1422). Accepting the darts of another’s sins can be difficult. Reflect upon how you react when one of these arrows is sent your way. Though it is easy to react with vengeance, your mistreatment by another offers you an opportunity for much grace. Mercy, silence and holy sorrow provide you with the tools you need to help bring conversion to those who mistreat you. This is difficult to do and can only be done when you have fully surrendered to the Mercy of God. God loves you and He loves every sinner with a burning love. Reflect upon that love God has for those who have hurt you and reflect upon the fact that you are in a unique situation to help them experience God’s love. Do not shy away from this duty and the Lord will bless you more than you could ever imagine. Lord, I pray that Your Mercy floods my heart, especially for those who have hurt me. May I love them with Your Heart and become a source of grace in their lives. I love You, dear Lord. Jesus, I trust in You. Many people enjoy excellent health while others do not. Some experience great physical discomfort in life due to infirmity or old age. Though many look for ways to alleviate this physical discomfort, it must be said that these pains offer an opportunity for grace. First, much grace is won in the life of the person suffering when that suffering is freely embraced. Grace can also be won for the lives of others when physical suffering is offered as a prayer for their good. 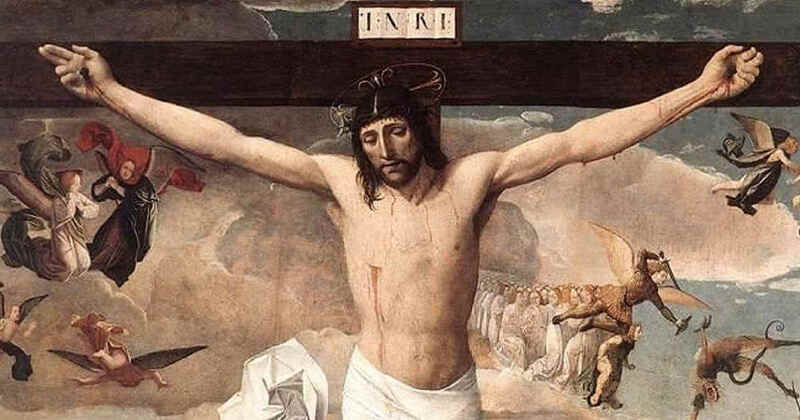 The way this grace is won is not so much by the suffering itself; rather, it is won through the free choice to embrace that suffering as a sacrifice. This denial of one’s own will becomes an open door to the storehouse of Mercy in Heaven. God smiles upon these physical sacrifices and especially upon the free choice of their embrace. Do not hesitate to allow your physical pains and discomfort to be turned into the Mercy of God for you and for others (See Diary #1428). Do you have physical pain or discomfort in your life? If so, it is normal to look for ways to alleviate it. But reflect upon this deep spiritual truth that your suffering can be transformed into grace. If you doubt this, just look at the Cross. The physical pain our Lord endured may not have matched His interior suffering, but it was part of His perfect Will to offer His physical pain to the Father for the redemption of the world. Do not doubt the value of your free embrace of every pain and discomfort. Give it to God and you will be blessed as others are blessed through this offering. Lord, I do offer to You, this day, all the pain and discomfort I feel now and will feel in the future. Help me to embrace this suffering with a free embrace. I choose it, dear Lord, and make it my offering to You so that You can transform it into Your Mercy. Jesus, I trust in You. When something burdens us we often seek consolation from others regarding our suffering by speaking about them openly. Though it may be beneficial to share our burdens with another to an extent, there is also great value in embracing them silently in a hidden way. It may always be wise to share your burdens with a certain person such as a spouse, confidant, spiritual director or confessor, but be aware of the value of hidden sufferings. The danger of speaking of your suffering openly to everyone is that it tempts you toward self-pity, lessening the opportunity to offer your sacrifice to God. Keeping your sufferings hidden enables you to offer them to God in a more pure fashion. Offering them in silence will win much Mercy from the Heart of Christ. He alone sees all you endure and will be your greatest confidant through it all (See Diary #1430). Reflect upon those burdens you carry that you can reasonably keep silent about and offer to God. If you are overwhelmed, do not hesitate to speak to another for their assistance. But if it is something that you can silently suffer with, try to make it a holy offering to our Lord. Suffering and sacrifice do not always make sense to us immediately. But if you seek to understand the value of your silent sacrifices, you will most likely obtain insight into the blessings they can become. Silent sufferings, offered to God, become a source of Mercy for your good and for the good of others. They make you more like Christ in that the greatest suffering He endured was known only by the Father in Heaven. Lord, there are many things in my life that are difficult at times. Some seem small and trivial and others can be quite heavy. Help me to always sort through the burdens of life and to rely upon the help and consolation of others when needed. Help me to also discern when I can offer these sufferings to You as a silent source of Your Mercy. Jesus, I trust in You. Some people are called to a unique life of prayer and solitude within the context of religious life. In particular, there are those called to the eremitical life or the cloister. These holy souls are separated from the world and spend their days in quiet prayer and work. But what value does this life have to the world? This is an important question to understand. From a worldly point of view, they add little to society. They may be looked upon with curiosity and intrigue, offering inspiration and admiration, but little more is rarely understood of their life. Never underestimate the incredible value of these holy vocations. Their life of hidden prayer and sacrifice brings delight to the Heart of our Lord and is a constant source of His Mercy in the world. In fact, without these holy souls, the world would be in grave danger. Through their lives of prayer and sacrifice the Lord withholds much of His judgment and issues Mercy in its place (See Diary #1434). What is your understanding of the value of the hidden vocation of religious? Seek to understand the great value of their vocation. Look to them for a deepening understanding of the spiritual life and trust that their prayers are a source of much Mercy in your life. Additionally, reflect upon the fact that you are called to imitate their lives of prayer to one extent or another. Though you may not be called to the cloister or to live as a hermit, you are called to a deep interior life of prayer. Allow these holy souls to teach you by their writings, their witness and their unique vocation. They are an abundant source of Mercy in our world; seek God’s Mercy through them. Lord, I thank you for the gift of those holy souls called to lives of solitude and prayer. Please sanctify them in their vocation and help them to win many souls for Your Kingdom. I pray that their witness and vocation will inspire many in an interior life of prayer. Jesus, I trust in You. Do you see value in being reduced to nothingness in your own eyes? Perhaps not. The reason this language is difficult to accept is that humility is only fully understood by a special gift of God’s grace. Some ancient philosophers even hold up pride as a great virtue, discounting humility as weakness. Sadly, there are few souls that obtain the actual virtue of humility. Some may obtain a certain semblance of this virtue, but few actually become humble to a great degree. Again, humility can only be understood and embraced by a special grace of God. Naturally speaking, we are drawn to those things we deem to be beneficial to us. Therefore, the first step in growing in humility is to see it for what it is and to discover its true value. When we understand humility, we will desire it. And when we desire it, we will be drawn to it. And when drawn to it, we will more easily embrace it (See Diary #1436). Do you understand humility? Do you understand the value of being reduced to nothingness in your own eyes? If not, ponder this idea for some time. Don’t give up on it thinking it is out of date, weak or misguided. You must become reduced to nothingness in your eyes if you are to discover grace in the Heart of Christ. Only by the discovery of your nothingness will you understand that God is everything and provides everything you need. You will find, in this discovery, that you begin to choose God over yourself and, thus, you become transformed into God’s grace rather than living by your own strength. God must possess you completely, live within you and live through you. In this way, your humble soul becomes Christ to the world. Lord, make me humble. Help me to see my nothingness and to see Your greatness. I choose You, dear Lord, over myself and invite You to possess me completely, transforming me into Your grace. Jesus, I trust in You. Do you understand what you will be doing for all eternity? Heaven, if we are blessed to obtain it, will be an existence of eternal contemplation of the Most Holy Trinity. Though there is no time in Heaven, imagine if there were. And then imagine contemplating the Trinity for a million years in a row. Would you eventually become tired of this life and find boredom in it? Never in a million years and beyond! It’s essential that you regularly remind yourself of the life you will live in Heaven in this perpetual contemplation of God. Though there is no way you can understand what this life will be like, you must try to comprehend it nonetheless. At very least, understanding that you can never understand and comprehending that you will never comprehend is at least a good start. The Trinity is a mystery that we will never solve; rather, it’s a mystery that we must enter into. Begin your eternal contemplation of the Trinity today and allow this contemplation to draw you into the infinite Mercy of God (See Diary #1439). Ponder today this great mystery. It may seem beyond you, and it most certainly is. But try anyway to spend some time trying to comprehend the unfathomable mystery of God. In truth, this is not something you can do on your own. Only God can draw you into this holy contemplation, but you must accept His invitation. Say “Yes” today and allow the merciful hand of our Lord to begin drawing you into the immense depths of His love. Oh Most Holy Trinity, I adore You with profound adoration and love. Please take hold of my soul and draw me into the mystery of Your very life. Reveal to me the secrets of Your inner heart and help me to begin my journey into eternity with You today. I love You, my God. Help me to love You with all my heart. Father, Son and Holy Spirit, I trust in You. It is most appropriate to prayerfully reflect upon being held in the holy arms of our God. Understanding the Merciful love of the Father in Heaven through the holy embrace of love reveals to us His fatherly care. Running to the arms of Jesus opens our hearts to His merciful love. But one image that will also be helpful and holy to reflect upon is that of the infant Jesus. Imagine if you were privileged to be present when Jesus was an infant. And imagine if this infant looked at you, reached out His arms and sought to be held by you. And imagine if this infant held you tightly as He rested on your heart. This holy exchange of love will most certainly be understood by parents as they hold their children. Contemplate the profound love and infinite Mercy of God coming to you through this warm and unconditional embrace of a little child. Jesus is reaching out to you, embrace Him and hold Him tightly (See Diary #1442). Ponder today this beautiful and holy image. But do so by imagining that this infant burns with a holy and pure love for you and longs to be held close to your heart. Resting in your arms you feel the love of this sweet embrace. This is an image of the Love of God and a holy image. Allow your own experiences of holding a child to teach you about the Mercy of God. And express your own love for God through this holy image of a child’s embrace. My dear Lord, so small and innocent, may I hold You in my heart with an embrace of pure love. May I feel Your Heart beat with mine and Your love poured forth in this sweet embrace. I thank You, Lord, for coming into our world as an infant. May I always treasure this image and be drawn more deeply into love of You every time I hold one of Your precious children. Jesus, I trust in You. Imagine the parent who loves a child with burning love. They are committed in every way to the care and well-being of their child. Their love is steady and irrevocable from the time of birth on into adulthood. Now imagine the pain in this parent’s heart if at some point their child walks out on them and fully rejects their love. This loving parent will not give up but will think about their child day and night, aching inside with love, hoping to be able to receive their child back. This is but a faint image of the love of the Heart of Jesus. As a “faint image,” we must realize that when we reject the love of our Lord, the wound of love in His Heart produces the deepest suffering. But this is a suffering of love. And instead of this wound of love causing Him to reject us, it does the opposite. The more we turn from God, the deeper His wound of love, and the deeper His wound of love, the more He pours out His Mercy upon us. Never doubt for a single moment the irrevocable love God has for you. Believing in this love will give you courage to always return to our Lord (See Diary #1447). Reflect upon the love that your parent has for you. No, it may not be perfect, and some may have experienced great hurt from a parent, but try to imagine what it would be like to have a parent who loves you with an unconditional love. The knowledge of this love would become a constant invitation to let them into your life. Reflect also on this being a faint image of the love of God for you. Do not doubt this love. Turn to it and trust in this irrevocable love of our merciful Lord. Lord, help me to understand Your irrevocable love. And as I understand this love, give me courage to never turn from You, but when I do, give me courage to always return to You. Your love is perfect and constant. It never fails and never gives up. Thank You, dear Lord, for loving me to this perfect degree. Help me to love You in return. Jesus, I trust in You. All of creation is capable of reflecting the glory and workings of God. God is the wisdom behind the Universe, setting all its laws in order and guiding all things perfectly. We only need to spend time meditating upon the laws of nature to perceive the laws of grace which they reflect. For example, take the morning dew. It arrives silently and without notice of its coming. It sinks in and soaks the earth leaving all things covered by its presence. So it is with the countless graces of God’s Mercy. It’s as if every grace God gives us is like one drop of the morning dew. He bestows it in abundance, and we often do not see it coming. It is given to soak in and to nourish our souls. Let the message of the morning dew speak to you this day and allow it to reveal the outpouring of the Mercy of God (See Diary #1449). Do you ever spend time reflecting upon creation? There are so many lessons to learn about God through that which He created. Ponder the morning dew this day. Spend time on it and seek the countless messages that God can reveal through it. Consider, also, the many other messages that reveal the wisdom and Mercy of God within creation. We can grow in our faith and knowledge of God by pondering the birds, the grass, the fish, or any other creature God made. Reflect upon creation this day and you will find that you are reflecting upon the Mercy of God. Lord, I thank You for the gift of creation and the countless ways that You speak through that which You created. May my life be like the soil that soaks in the morning dew each day, being covered with Your grace. I love You, dear Lord. Help me to be more open to Your love each new day, and to see Your hand at work in all things You have Made. Jesus, I trust in You. One unfortunate tendency within our fallen human nature is to “murmur” about another. It’s like a virus in that once someone starts, it passes to others quickly. Before you know it, many can be spreading rumors and gossip not based in truth, or truths not spoken in charity. This can be very painful to the person who the murmuring is about. We see this commonly among teens, but it is not exclusively a teenage phenomena. The two questions to ponder in this regard are: 1) Do I murmur about others? 2) How do I react when others murmur about me? First of all, the virus of murmuring will only be cured if people of integrity cease to speak unnecessary words or calumny or detraction. We have no right to spread errors about another, and we have no right to spread truths that do not need to be shared. Second, if you find yourself to be the object of the murmuring of others, it’s understandable that this will hurt. Allow yourself to feel the hurt, unite it to the Heart of our Lord, and then move on without returning the mistreatment. A peaceful resolve to pay no attention to these actions helps to dispel their effects and it keeps us from being drawn into the foolishness (See Diary 1453). Ponder today both of these experiences. If you are the cause of senseless murmuring then see the seriousness of this sin. It is a sin and a serious violation of charity as a result of the hurt it can cause. Confess it and resolve to silence your tongue. If you are the object of such murmuring, know that Jesus was first. Turn to Him and allow Him to console you, and try to rejoice that you have been treated like our Lord. Lord, please guard my tongue and help me to speak only the words You wish me to speak and to only listen to those words inspired by You. If I am the object of hurt from another, give me the grace to receive healing and strength and to rejoice that I am treated like You. Jesus, I trust in You. The words of truth, spoken from the Heart of our Lord, bring joy to our lives and rejuvenate our spirits. When you hear these words of truth, take them in and act on them, you are set free from the burden of error and may experience a certain lightness of spirit and refreshment. However, the opposite is true also. When you listen to an error, take it in and believe it, the fruit of this error is one of sadness and burden. The truth sets you free and an error weighs you down. This is good to be attentive to when you offer advice to another. If your words appear to lift them up and strengthen them, then you have an indication that you are speaking from the Heart of Christ. The same is true when you take the counsel of another. If their words immediately connect with you, filling you with a sense of inspiration and clarity, then listen and receive this word because they are most likely speaking the words our Lord has inspired them to speak to you (See Diary #1461). Reflect today upon the conversations you have had this past week. How did you feel afterwards? Did you feel inspired and renewed? Or did you feel dry and down. And how have your words affected others over this past week? Did you notice a healthy difference in them and a lightening of their spirits? Do a practical and concrete examination of your conversations and recommit yourself to listening to and speaking that which comes from the merciful Heart of Jesus. Lord, I desire to be an instrument of Your Mercy in every way. I pray, today, that I may especially do so through the words I offer to others. May my words be Your Word, dear Lord. And may I seek refreshment from Your Heart as I open myself to Your Word spoken through others. I love You, dear Lord, help me to love You more and to be an instrument of that love to all with whom I converse. Jesus, I trust in You. It is actually quite consoling to have someone with whom you can reveal the depths of your soul. This sort of confidant is a great blessing when absolute confidentiality, mercy and understanding are offered. Speaking even of your sins without hesitation can bring much healing when the person with whom we share these things responds with perfect love and is able to offer you the Mercy of God. We all need such a confidant. But in truth we do! We have the priest, waiting for us in the glorious Sacrament of Reconciliation. His confidentiality is certain, his compassion and mercy is offered and the forgiveness and Mercy of God is poured forth upon the deepest and darkest secrets in your heart. Do not hesitate and do not delay in going to Confession. You need this gift from our Lord and He will bless you with an abundance of His Mercy through it (See Diary #1464). Reflect honestly upon the deepest and “darkest” sin in your heart. What is it that you fear revealing the most? The Lord desperately desires to enter into that darkness and bring the healing balm of His light and Mercy. Do let Him in through the Sacrament of Reconciliation. The power of this Sacrament is unmatched and is exactly what you need to begin your healing and to be set free from your burdens. Do not fear it and do not put it off. Make an act of faith today in this glorious Sacrament and you will be amazed at the effect that it has on your life. Lord, please give me courage to confess my sins in the Sacrament of Reconciliation. Please also give me the wisdom to know that this is among Your greatest gifts. In this Sacrament I encounter Your Mercy to the greatest degree. Thank You, dear Lord, for this priceless gift. Jesus, I trust in You. One motivation we should have for working diligently at spreading the Mercy of God is the reality of the Communion of Saints. Understanding this eternal communion will enable us to realize that what we do now we will rejoice in forever in Heaven. For example, if you go out of your way to share the Mercy of God with another and this Mercy is received and affects that soul for the good, this fact will be known and proclaimed for all eternity as you share Heaven with this person. Imagine spending your whole life on Earth spreading the Mercy of God as your greatest passion. And then imagine spending eternity glorying in the effects of this Mercy in the lives of countless other saints who are in perfect communion with you in Heaven, some on account of your holy efforts. Pondering eternity in this way will motivate you to fervently make it your most central mission in life to spread God’s Mercy to all whom you meet and in the way our Lord inspires you (See Diary #1471). Do you ever think of Heaven? Spend some time today thinking about this glorious reality that awaits us. What will you delight in once in Heaven? Certainly you will delight in God, but reflect today upon the delight you will have when you see clearly the effects of the love you have shared with others. These merits of grace will live on forever. Think about these treasures that await and try to allow them to become an inspiration to you and a motive for your work of Mercy. Lord, I pray that You will inspire me continually to work diligently at spreading Your works of Mercy. Use me, dear Lord, and touch many lives through my efforts. Keep my eyes on Heaven and help me to make this goal the guiding force and motivation of my love for others. I give myself to You, dear Lord. Use me to save souls. Jesus, I trust in You. Our minds are a gift from God and one of the two primary ways we are made in His image and likeness. The other way is through the gift of our free will. But the intellect is an incredible gift that must be given to the work of God. It is good to pray that our Lord make our minds great, powerful and keen so that we may know Him, understand Him and comprehend all the rich mysteries that He desires to reveal to us. Our minds grasp the truths of God in two primary ways. First, we must strive to engage all the many truths revealed by God through His Church. This includes the truths contained in Holy Scripture, the teachings offered by the Magisterium, the revelations from the lives of the saints and the theological discourses that seek to clarify and deepen our understanding. These precious gifts, given through the Church, reveal to us the mysteries of God. But the mind is also capable of receiving direct infusion from God. When we allow our minds to be given to God, He imparts a knowledge and wisdom directly from His own Mind. This gift offers us immediate clarity in life and discernment of His holy Will (See Diary #1474). Reflect today upon how fully you have given your mind over to the teachings of our Lord. Reflect, first, upon whether you seek God’s Truth through the Church. Do you study the Scripture and all that has been revealed through the Church? Reflect, also, upon the direct infusion of Truth that our Lord wishes to impart to you. This precious gift comes on account of His abundant Mercy so as to lead you into knowledge of His very essence and His holy Will. Lord, my life is Yours. Today I especially surrender my intellect to You to use as You will. Teach me Your ways and reveal to me the very essence of Your eternal being. As I come to know You, dear Lord, give me the grace to follow You with all my mind and heart. Jesus, I trust in You. One of the dangers many encounter in our modern technological world is that of constant noise. We are easily bombarded with chatter all day long. It could be through the radio, TV, Internet, or the ceaseless conversation of another. Rarely do we find times of great silence. As a result, when silence is offered us, we often look to fill that silence immediately. But is this wise? Is it good to occupy our minds day and night with noise? Though every person will be different, especially depending upon their vocation, every person does need times of regular silence and solitude. Without this it is hard to be recollected and to hear the Voice of God. God speaks in the silence and He desires to communicate to you through this sacred language. Do not run from silence for, if you do, you will be running from the Voice of God (See Diary #1476). Try to take some time today alone in silence. If you find that it is difficult to do even for five minutes, then this is a sign that there is too much noise in your life. Entering silence can bring on a form of “withdrawal” from noise. We tend to be comfortable with it as we are entertained all day long. But try to take time in silence today. Resolve to do so as long as you can. Turn off the radio in the car, go for a walk, or sit and pray without thinking or speaking, just being quiet in the presence of God. The gift of silent communication with God is a gift that you need and you will learn more from silence than from hours of the noise of the world. Lord, I desire to seek You in the silence. I choose to listen to Your quiet promptings of love spoken in this way. Give me the wisdom and strength I need to dedicate myself to moments of quiet every day. May these moments bring clarity to my soul and understanding to my life. Jesus, I trust in You. Should we fear the truth? On one hand the truth can get us in trouble. Look, for example, at the Martyrs. They are witnesses to the truth with the shedding of their blood. They “got in trouble” only in the sense that their testimony to the truth brought forth their persecution. But in the eyes of God this is no trouble at all. It is an act of great love and honesty, courage and resolve. They chose the truth over life itself. Though you most likely will not be called to be a witness to the truth to the point of literally shedding your blood, the resolve in your mind and heart must be the same as the great martyrs. We must have an unwavering adherence to that which is in the Mind of God and must never hesitate to speak that truth with conviction. Of course, prudence is a guiding virtue that will enable us to discern what to say when. But we must, nonetheless, always be ready to adhere to and proclaim the truth with all the powers of our soul (See Diary #1482). Reflect upon how firmly you attach yourself to Him who is the Eternal Truth. Do you submit your mind to all that God speaks and believe it with every fiber of your being? This must be your firm resolve. Reflect, also, upon how you speak the truth to others. At times we can be tempted to speak without prudence which is ultimately a lack of charity. But at other times we can give into fear in the face of some opposition to the truth which is also a lack of charity. Seek to live in the Truth of God and to proclaim it with His merciful Heart and the Lord will accept this resolve of yours as a sacrifice of holy martyrdom. Lord, I pray for courage and prudence as I go through life seeking to live and to proclaim all that You speak. May I never give into fear or cowardice when opposed or challenged. Instead, give me a peaceful resolve to be a great witness to You in all things. Jesus, I trust in You. Imagine if someone gave their life for you because they loved you. They were put into a situation where they knew you would lose your life if they did not freely give theirs. As a result, they chose to step forward in confidence, giving their life in exchange for yours. In order for someone to do this they would have to have an incredible depth of love for you, so much so that they valued your life over their own. This depth of love may be rare but it does exist and we haven’t far to look to find it. We only need to look at a crucifix to be made aware of this reality. We easily become so familiar with the Crucifixion of our Lord that we overlook the fundamental fact of His perfect love. He valued your life more than His own. He did not hesitate to die a horrible death so that you could live. This fact should not escape your daily notice. It is not some far away sublime idea; it’s a practical reality that has absolute consequences in your life. Jesus’ death is the only reason that you can live eternally in Heaven. This is an act of Mercy that should leave us with eternal gratitude (See Diary #1485). Spend time today pondering the Crucifixion of our Lord. Try to see it not as some far away event that has only an inspirational influence on your life. See it instead for what it is. Without the free gift of Jesus on the Cross you would be lost for eternity. It’s as simple as that. His act of love was an exchange of His life for yours. The depth of His love for you is more than you will ever fathom. Ponder this truth today and rejoice that you are loved to such an absolute extent. Lord, I will never fully understand the depth of Your perfect love. In my small way I thank You with all my heart and choose to accept the total gift of Your death on the Cross. Help me to never doubt Your love for me, dear Lord, and help me to love You in return. Jesus, I trust in You. How do you pray? There are many good ways to pray. Here are some common ways: attending the Holy Mass or another Liturgy, praying the rosary or other chaplets, reading the Scripture meditatively, reciting beautifully written prayers, sitting in silence before our Lord, falling prostrate before Him especially in the Holy Eucharist, etc. One additional way to pray is to have a conversation with our Lord, speaking everything on your mind. It’s true that He knows all your needs, He knows all your thoughts and He knows you far better than you know yourself. But, at times, you will find it a blessing to converse with Him anyway. You may choose to go through your life, all of your concerns, all of your questions and confusions, and speak them directly to our Lord. This form of prayer helps to clarify life, as long as you seek to listen while you speak. But speaking all of your concerns is a wonderful act and will be most useful as you invite God into every part of your life (See Diary #1485-1489). So how do you pray? Reflect today upon the various methods you use and ponder whether there are other ways that you might add. Especially consider sitting down and conversing with our Lord as you would a friend. Think about even the psychological benefit that comes by speaking everything on your heart, expressing every concern, and presenting every question you have to God. There is value in the conversation. You may not have perfect understanding of His answers, but God knows what you need and by coming to Him with everything, you can be assured that He will listen and respond. Lord, teach me to pray. Help me to know how much You love me and desire to hear from me about every burden of my soul. I desire to bring all to You, dear Lord, to lay it at Your feet and to abandon myself into Your gentle Hands. Thank You for always listening. Jesus, I trust in You. It’s true that no earthly image can fully reveal the perfect love of God. God is transcendent and His love is beyond what this world can contain. But nonetheless, there are many things in this world that do reveal aspects of the love of God. One such image is that of a mother’s love. Though God has been revealed to us as the Father in Heaven and the Son of God came as a man, we can discover much about the love of God from a mother’s love. In fact, it is even appropriate to understand that God is like the tenderest mother to us. Motherhood is sacred because it is part of the natural design of God for humanity. He puts into a mother’s heart a powerful love for her child, offering unwavering commitment. Though no mother is perfect except our Blessed Mother, it’s good to look at the beauty of a mother’s love when using it to understand God. The tenderness and unconditional acceptance of a mother stand out as two aspects that reveal the love of God. God does love you with a perfect motherly love. Though this may not be the most common way to speak of His love, it is of great benefit to ponder this beautiful revelation from creation (See Diary#1490). How do you see God? Reflect upon your image of God and rely first upon the various images in Scripture. But also ponder the many natural means through which God communicates His love. Ponder, today, especially the love that a mother has for her newborn infant. Reflect upon the unique and powerful draw she has and her unwavering commitment. The Lord loves you infinitely more. Always find comfort in this love. Lord, I thank You for loving me with a perfect love. I thank You for the gift of motherhood and for the way that You reveal Your unconditional and tender love for me through this gift. Help me to always know of this love and to seek You as an infant seeks a mother. Jesus, I trust in You. When we engage in a conversation with another, it is always an opportunity to share the love of God. Even casual conversation has such potential. For example, listening intently to the details of another’s life expresses care and concern for them and reveals the fact that you see their dignity and are acknowledging it by listening. Sometimes conversations can go astray and become dominated by things that are not of God. In these moments the love and Mercy of God can also be shared by gently bringing the conversation back to where it should be, in gentleness and respect. It’s important to remember that every conversation should be consecrated to our Lord. It’s good to do so intentionally but this can also be done when one builds a habit of speaking of the good things of God. Praying for another while speaking will also open the door to a holy and healthy conversation. Do not underestimate the value of a holy conversation with another. It always has the potential of being a source of the Mercy of God for both of you (See Diary #1494-1495). Reflect upon the conversations you have had this week. Did they glorify God? Were you attentive to the opportunity to use your speech and your listening to bring Mercy and comfort to another? Try to say an interior prayer this day each time you have a conversation. Invite the Lord to enter and consecrate the person and yourself to our Lord. He will act through you in wonderful ways. Lord, I do consecrate my speech to You. I pray that every conversation I have may give You glory and bring peace to others. Give me wisdom and charity and help me to speak only what You desire. Give me also a listening ear so that I may act with Your Heart of compassion, hearing the needs and concerns of others. Jesus, I trust in You. The devil is real and his temptations are real. He hates you with a pure hate and desires your destruction. This is good to know. But the evil one is also quite shrewd and manipulative and will rarely speak blatant lies to you since he knows this temptation will most likely not convince you. Instead, he seeks to speak confusion to you, identifying things that are partly true and mixing them with subtle lies so as to lead you astray. You may find that you begin to obsess about this thing or that. And you may find that your reasoning might make some sense, but you begin to experience a sadness and confusion as you think. Stop thinking in those moments and run to the Mercy of God. When your thinking is immersed in God, you are left refreshed and light. You begin to have new joy and clarity. But when the evil one begins to have his way with you, the opposite effects are felt in your soul. Be attentive to his sneaky deceptions and pay no attention to them (See Diary 1497-1499). Reflect, today, upon your thinking process. It is here that the tempter works his worst work. Reflect also upon how you feel as you have tried to figure out this situation or another. Commit yourself to a discernment of spirits by especially looking at the effects of your thinking. The Lord invites you to run to His Mercy every time you find yourself confused or misled. Be attentive to these moments and know that they may be the temptations of the evil one. Trust in the Lord always and continually submit your thoughts to His holy Mercy. Lord, please always protect me from the lies and snares of the evil one. I rebuke him and his works in Your most holy Name and entrust all my thoughts to You. Come pour forth Your Mercy and truth into my life and dispel all darkness and gloom. I love You, dear Lord. Jesus, I trust in You. The glorious virtue of humility must be understood, continually pondered and continually embraced. What is humility? It is nothing other than knowing the truth about yourself, believing that truth and living in accord with that truth. Only you and God know the depths of your conscience. Human opinion matters little. Some may offer false judgments of you presuming your pride or another sin. And at other times some may speak words of flattery, exaggerating your virtue from impure motives. Neither false criticism nor words of flattery foster humility because they both have as their intention something other than the truth. Some holy souls may even seek to misrepresent the truth of who they are by either exaggerating their holiness or by misrepresenting their misery so as to gain the praise or sympathy of others. But, again, humility has as its goal the truth of who we are. Seek to know and believe the full truth of your life, and then seek to live that truth openly and honestly. This purity of intention will allow your true self to emerge, and through this humble act the Lord will shine forth from your soul (See Diary #1502-1503). Ponder today the truth of who you are. Seek complete honesty in regard to your actions and your intentions. Understand yourself and seek to know yourself as God knows you. Doing this will foster great humility. As you grow in humility, see also the truth of God and His greatness. Humbly acknowledge all that God does for you. Seeing God at work within you and honestly expressing this with gratitude will allow Him to shine forth beautifully for all to see. This is truth and this is humility. Lord, I desire to know the truth of who I am. I seek this truth and desire to allow it to shine forth with honesty and integrity. I pray also that I see Your greatness and acknowledge Your workings in my life. You are glorious, dear Lord. May this truth shine forth. Jesus, I trust in You. It is difficult to stay friends with one who is suffering, especially when that suffering endures. Often, at first, when a soul is suffering from some illness or other difficulty, many friends come to help. But as time goes on, fewer friends maintain their love and support. This offers a test of their love and mercy. But there is one Friend who will be there through it all. This is our Divine Lord. He endured the greatest sufferings in life and, as a result, He does not shy away from the friendship that enters into a relationship of long suffering. Jesus’ love remains steadfast and immovable. This witness of perfect love must also inspire you in your love for others. When you see someone suffering it takes great resolve to remain faithful to them and to your friendship over time. But the longer the suffering endures, the greater the opportunity to love. Time purifies and strengthens love and when you are aware of the long suffering of another, see it as one of the greatest opportunities to manifest the unwavering love of our Lord (See Diary #1508-1509). Reflect upon those with whom you have shared friendship. Are there people in your life that have carried a heavy burden for many years? If so, how firm have you remained in your dedication and love toward them? They offer you an opportunity to manifest the unfailing love of our Lord. Reflect upon how easy it is to love another when they are popular, healthy and praised by many. And then reflect upon the strength and commitment that is needed to remain steadfast to those in the opposite condition. Renew your love and friendship and you will manifest the great Mercy of God. Lord, make me a true friend. Help me to see the sufferings of others as an opportunity to love with Your Heart. May I become as faithful as You, dear Lord. I love You. Help me to love as You do. Jesus, I trust in You. There are some who easily fall asleep each night and remain asleep until morning. There are others who struggle greatly with sleep and this becomes a great burden and a source of discouragement. If you are one who struggles with sleep on a regular basis, or even on rare occasions, see this cross as an opportunity rather than as a burden. A sleepless night offers one particular opportunity to you. It can be seen as an invitation to spend the night with our Lord. Though it is healthy to work to deal with the cause of sleeplessness so as to remedy it, it is also good to embrace it in the moment if it happens. Even something as seemingly insignificant as this can become a source of holiness. Seek to use a sleepless night as an opportunity to pray and meditate upon the life of our Lord. One good reflection on such an occasion is to prayerfully meditate upon the night of Jesus’ arrest and imprisonment. His night that night in prison would have most certainly been one of constant prayer to His Father. Recall also that there were many nights when our Lord chose not to sleep. Scripture reveals that Jesus regularly “spent the night in prayer” (e.g., Luke 6:12). Thus, in this act, Jesus gives great power to pulling an “all-nighter” with Him in meditation and prayer. By embracing this Cross with our Lord you will see an abundance of Mercy pour forth on your life (See Diary #1515). If this is a struggle that you face, try to look at it from a new perspective. Seek the Lord in your sleepless night and enter into communion with Him in His. Much Mercy awaits you as you seek to transform this cross into grace. Lord, I pray that every cross I carry will be transformed by Your Mercy into an opportunity for holiness. I especially offer my nights to You, dear Lord. Whether I sleep in Your arms or remain awake in Your presence I give each and every night to You. Jesus, I trust in You. When an army is under siege, it seeks a place in which it can defend itself. Seeking higher ground or a place that gives it shelter and protection is immediately sought out. So it must be in your spiritual life. When you experience the darts of the evil one, or when life becomes burdensome to you, especially on account of your sin, seek the higher ground and the greatest place of refuge. This place is the merciful Heart of our Lord. Do not doubt that His Heart is a place of refuge for you. Within His Heart you will find safety from the weary battle and you will discover that you are in a fortified fortress of Mercy. This specific aspect of Mercy, that of being a place of protection, must be understood and welcomed. We cannot endure the hardships of life on our own. We cannot fight the battles of life if we rely upon our own strength and skills. No one is talented enough to fight off the raging enemy. Seek refuge in the Mercy of God and He will protect you from all harm (See Diary #1516). Reflect upon your need for protection. By yourself, alone in this world, you will never survive. The temptations, attacks and evil that pervade this world will ruin you. But if you have a fortress of protection, nothing will do you harm. That protection is the Mercy of God. Spend time today thinking about God and His Mercy as such a fortress. See Him as your defender in all things and run to this place of safety. The Lord will surround you with His grace and will keep you at peace within the dwelling of His Heart. Lord, when I feel the weight, attacks and temptations of the world come upon me, give me the wisdom to seek refuge. May I run to You and hide in Your merciful Heart. May I never doubt Your perfect protection and always find shelter in You. Jesus, I trust in You. Do you tire of speaking of the Mercy of God? Do you find that it becomes repetitive and unimpressive? If so, speak of Mercy all the more and ponder it with new zeal. You must never tire of the Mercy of God. The Mercy of God is so great and abundant that, in Heaven, you will see clearly how vast and wide it is. You will comprehend that it is incomprehensible and will never tire of contemplating its beauty. On Earth, you may find yourself tempted to dismiss Mercy as impractical and unimportant. It may be perceived as something old and outdated. When this happens, be reminded that this is foolishness and irrational. Understanding God’s Mercy must become your daily goal and daily mission. You must seek it day and night and never relent in your pursuit of this unending and unfathomable gift of God (See Diary #1521). Ponder, today, these three simple words: Lord, have Mercy. Say them often and intentionally. Remind yourself that if you grow weary thinking about and speaking about the Mercy of God then you are failing to understand its depth and beauty. God’s Mercy must engage your mind and will so forcefully that it is ever present and ever new. Its newness, especially, will help to keep you engaged in this gift and it will enable you to continually probe its depths. Lord, have Mercy, Christ, have Mercy, Lord, have Mercy. Say this over and over and realize that you can never exhaust this glorious mystery of love. Lord, you are never changing but always new. Help me to never tire of the simple yet profound truth of your Divine Mercy. Help me to always see the beauty and splendor of Your Divine Love. I do love You, dear Lord, and I pray that I may love You more every day. Lord, have Mercy on me. Christ, have Mercy on me. Lord, have mercy on me. Your Mercy, Lord, is great and glorious. Jesus, I trust in You. Why do we speak of God and His love as a fire burning within us? This is a powerful image worth spending much time meditating on. A flame does many things. It brings light, it purifies, it consumes, it emits heat and energy, it draws us close, it is ever changing and ever new, and so much more. God’s love must become not only a spark or a flame within you, it must become a raging fire of love, consuming your soul and producing, in its place, the radiance and divine presence of God (See Diary #1523). Reflect, today, upon this image of the Love of God. Meditate upon this all-consuming fire raging within you. What are the effects of such a living flame? What does it do to your life? What will others notice when this flame is blazing? Ponder this holy image and invite the Living Flame of Love to consume you from within. Lord, come to me and consume me with the burning fire of Your Love. Purify every sin and transform me into the light of Your grace and Mercy for all to see. You are a powerful Flame ever burning yet never harming. You renew me and radiate Your presence from within. I love You, dear Lord. Set me on fire with Your sweet Love. Jesus, I trust in You. It is very easy to pass judgment on another, but it is very difficult to withhold judgment. Why is that so? Why might you find yourself easily passing judgment on others when you truly do not know their heart? There certainly can be many reasons for this sin; one of them is that some people do not even know themselves well enough to judge their own conscience. When this is the case, the person will be in no position to try to judge another. Judging another often comes from a heart that has little interior knowledge, understanding or personal insight. They feel this disorder within and project it out on others. This is helpful to understand for two reasons. First, if you tend to judge, stop and look into your heart. There is a very good chance that you do not know who you are, what your sins are, or how God sees your soul. Second, if you become the object of another’s judgment, do not be offended. Instead, use it as an opportunity to have a holy sympathy for them. Chances are that their judgment of you is a sign of their own interior confusion. This should evoke compassion toward them, not judgment in return (See Diary #1528). Reflect today upon these two experiences of judgment. First reflect upon whether you judge and why. Also spend time reflecting upon the way you react when others judge you. Seek the truth in both of these experiences and surrender your own judgments and your experience of others’ judgments to the Mercy of God. Lord, please free me from having a judgmental heart. You and You alone probe the minds and hearts of all Your children. Give me insight into my own soul so that I may continually examine my life in the light of Your Truth, and give me a heart of mercy that I may love others with the Mercy of Your Divine Heart. Jesus, I trust in You. If you were married and you were regularly indifferent to your spouse, this would be a problem. Indifference means there is a lack of sincere care for the good of the other. Forgetfulness is a symptom of indifference in that when one cares little, it’s easy to forget. For example, if you forgot an important anniversary in your marriage this could be a sign of either a very poor memory or an uncaring and indifferent heart. If it is the latter, this brings much hurt to that relationship. One reason this brings much hurt is that the cause of the hurt is subtle. If one were to actively do something hurtful, it’s easier to point it out. Indifference is a passive action in that something is missing. But this passive action can be just as hurtful, if not more hurtful, than a more obvious action. So it is with God. When we are passively indifferent to Him and His Mercy, and when we “forget” to turn to Him day and night, we are bringing much pain to His Sacred Heart (See Diary #1537). Examine your conscience today and try to honestly identify any struggle you have with indifference. It may not be manifestly clear to you. You may not even realize this is a sin and the cause of much hurt to others. But this form of neglect causes deep wounds over time. Try to make an honest examen and if you realize that this is your sin, do not hesitate to do something about it. Renew your care for those whom God has put in your life, and especially renew your caring heart toward God and the Mercy He wishes to bestow. If you are indifferent to the Mercy of God, this wounds His Heart and does even more damage to you over time. Lord, I desire to care to the greatest degree. Help me to be continually aware of others in my life and to anticipate their needs, lavishing love upon them. Help me to also be continually aware of Your Mercy and to never be indifferent to this most sacred gift. Jesus, I trust in You. Loneliness is a deep suffering that many endure. One reason it is so painful is that the lonely person obviously suffers alone with few people, if any, to help ease their hurt. If this were not the case, they would not be lonely. Interestingly, even those who are surrounded by others all day every day can be lonely. Even the most popular and outgoing person in the community can sometimes struggle with great loneliness. This may not be easily noticed because they often “wear a mask” covering the loneliness they experience. Loneliness is real and comes as a result of one particularly deep need we all have. And this is the need to be known by another. We want to be known and understood. We need people who will listen to us, care, understand and love us at our deepest core. Simply being popular or being surrounded by many people does not meet this need since the “popular” person may not truly have revealed what is inside to anyone. The best answer to loneliness is the intimate presence of God in your life. An authentic and deeply personal relationship with your Lord enables you to be at peace, knowing that God knows you, understands you and loves you. This gift also opens the door for you to find people to whom you can share your joys and struggles. Seek intimacy with the Lord. This is the greatest help to a lonely heart (See Diary #1542). Be honest today and ponder the question of loneliness in your own life. No matter if you are the life of the party or a quiet bystander, loneliness can affect everyone. Reflect, also, upon the fact that intimacy with our Lord is the primary cure. Look at your relationship with Him and open your heart to His love. Lord, I invite You into my heart. Come dwell there and reveal Your tender love. Help me to understand that You know and love me through and through. I give my heart to You, dear Lord. Jesus, I trust in You. One of the easiest things you can do in life is be lazy. Imagine if you had no responsibilities, had all the wealth you could ever want and could spend your days in luxury and relaxation. This would foster a very lazy heart and it would also foster a very sad heart. Rest is good, but excessive rest can turn into laziness and laziness ultimately becomes very boring. This fact reveals the opposite truth also. Namely, a zealous heart is one that finds great excitement in the activities of the day. Though some may become obsessed with work, becoming a “workaholic,” an appropriate balance of rest and work produces the virtue of a zealous heart. Are you zealous? There are many things one can be zealous about in life, and not all of them good or within the Will of God. But zeal for the salvation of souls, and the bringing forth of the Kingdom of God is a zeal we must all strive to foster. In fact, our Lord wants you to have this as the highest priority in life. As you grow in holiness and closeness to our Lord, He will send you forth cultivating the Earth with His Mercy. Doing this with great zeal wins many souls for the Kingdom and produces abundant joy in your heart (See Diary #1548). Do you struggle with a lazy heart or a zealous one? If lazy, look at the effects of this in your life. The boredom and dissatisfaction you experience is a direct result. If, however, you are zealous and diligent in life, what is it you are zealous for? Reflect upon this honestly today and seek to grow in a burning zeal for the building up of the Kingdom of God. Lord, I offer to You all my work and my talents. Use them for Your glory. Help me to have true zeal for Your Kingdom and to work tirelessly for Your glory. Jesus, I desire to be an instrument of Your perfect Mercy in the world. Use me as You will. Jesus, I trust in You. Everyone is called to holiness and in that holiness is able to obtain complete happiness. But God always chooses some for a special mission of holiness, a higher form of holiness. These souls could be called “Seraphic Souls.” The classic example is to compare two glasses of water. One is large and one is small. They are both filled to the brim so they are both full. But one contains more water. So it is with holiness. Some are given a special calling to reach a greater height. All people are to be “full” of the Holy Spirit and, thus, obtain perfect happiness. But some are invited higher in a unique way. This is similar to the Nine Choirs of Angels. The Seraphim are of the highest order and have as their sole purpose the worship and adoration of God. The Guardian Angels are of the lowest order and have as their primary duty the service of man. Each celestial being is perfectly happy and rejoices in the unique calling of each (See Diary #1556). Reflect, today, upon this glorious ordering of holiness for angels and for humanity. At first, it may not seem fair that some are given a special calling to holiness and even a special sharing in the sufferings of Christ. We must all ponder this truth and rejoice in it. And as for those seraphic souls in the world, and those given a special call to share in Christ’s sufferings, we should seek them out and seek the wisdom and grace that flows from their lives. God has a good reason for such ordering; it’s our duty to embrace it with joy and to benefit from their blessed vocation. Lord, I thank you for Your perfect wisdom in ordering the holiness of both angels and humanity. Help me to always seek out those seraphic souls, the special saints, who have reached a glorious level of holiness. Thank You for their witness and thank You for their freely embraced suffering. May the world be continually blessed by their lives. Jesus, I trust in You. The Lord, in His abundant Mercy, comes to you day and night and joyfully enters your soul when it is open to Him. Even the greatest struggles do not deter our Lord from coming to you. But one thing, especially, keeps our Lord away. And that is pride. Pride is the mother of all sins and, simply put, is selfishness. It’s a way of turning in on yourself as your primary concern. The problem with this is that you were made, by God, for the purpose of giving yourself away. It’s in your very nature to become a gift to others. And only in giving of yourself to God and to others do you discover who you are and, in that act, you become who you were made to be. So pride, in its attempt to become self-concerned, actually has the effect of destroying you. Pride leaves you with yourself and allows no room for another, not even God (See Diary #1563). Reflect upon the sin of pride today. Here is an examination for this sin: Pride is an untrue opinion of ourselves, an untrue idea of what we are not. Have I a superior attitude in thinking, or speaking or acting? Am I snobbish? Have I offensive, haughty ways of acting or carrying myself? Do I hold myself above others? Do I demand recognition? Do I desire to be always first? Am I ready to accept advice? Am I in any sense a “bully” or inclined to be “bossy”? Do I speak ill of others? Have I lied about others? Do I make known the faults of others? Is there anyone to whom I have not spoken for a long time? Am I prone to argue and be offensive in my arguments? Am I self-conscious? Am I sensitive? Am I easily wounded? Reflect honestly on these sins today and seek freedom from them. Lord, please free me from the self-centeredness that comes from pride. May I seek the good of others with all humility and sincerity. Free me from this sin, dear Lord, and help me to give myself away to You and to others, for in giving of myself I know I will find myself. Jesus, I trust in You. God gives to each person a unique mission. Some are called to very public lives; others are called to quiet and simple lives. Some are called to use their minds in powerful ways; others are called to use their hearts in special ways, but each person has a unique mission from God. What is your mission? Seeking to know what the Lord asks of you is essential to your journey of holiness and, therefore, happiness. When fully embraced, this mission will bring abundant fulfillment to your life because of one simple fact: every mission is a mission of Mercy. The struggle many people have is that they embark on selfish endeavors in life, failing to commit all their energies to the work of the Lord. The Lord wants you to work day and night on His mission. This is not too much to ask. In fact, it’s what you were made for and the only way to obtain what you truly desire. His mission will certainly include moments of fun and rest, work and struggle, laughter and tears. It will also require a complete death to yourself. But it’s worth it! Seek the mission God has given you and embrace it with all your heart. If you do, the Mercy of God will pour forth through your life (See Diary #1567). Reflect, today, upon this simple question: What is my mission in life? It may come to you slowly, over time, taking twists and turns as you go. But never stop seeking to serve our Lord and His perfect plan. This plan will become the delight of your soul. Ponder it and if you are on the wrong path, correct your direction in life. Lord, I thank You for calling me to a blessed and unique mission in life. I choose, this day, that which You have given to me. I promise to say “Yes” to You throughout my life and to never tire of fulfilling Your Will. I love You, Lord. Help me to love You with my life. Jesus, I trust in You. What do you long for in life? If you could pick one thing that you desire above all else what would it be? Would it be death? Probably not. Surprisingly, the greatest saint would probably desire death over anything else in life. Not an early death or a death of their own choosing; rather, they would see death as the gateway to their true home and anticipate the joy of that encounter with much hope. This may not be something you normally think about but it’s worth doing so. When a person has Heaven as their greatest desire it means, in part, that they have come to such a point in life that the things of this world do not matter to them. They long for Heaven and to be with God eternally. This does not undermine their love for family and friends. This love is eternal and will remain with them in Heaven to an even greater degree. The key to this desire is the realization that Heaven will be so glorious and fulfilling that there is much excitement about obtaining it. This may not be your normal way of thinking about death but it is worth pondering and examining your earthly desires in the light of this ultimate goal (See Diary #1573). Spend time today pondering death. But do so in a new way. Look at it not as an end to your life; rather, see it as the beginning of a new and glorious life of perfect fulfillment. Reflecting upon death does not mean you wish for it to come soon. We should only desire to obtain Heaven in accord with God’s timing. But, nonetheless, we should desire it and desire it with all our soul. In fact, keeping our eyes on this ultimate prize will help us walk through the hardships we endure here and now. Lord, of all the many desires and goals I have in life I pray that I may desire Heaven above all else. Please free me from the foolish desires of this life and set my heart solely on You. Jesus, I trust in You. One common struggle many people have is that of impatience. We tend to want what we want when we want it. In our fast-paced society we are used to instant everything. A full meal can be reheated within minutes, text messages can be sent worldwide in seconds, news travels the moment it happens, and for many people almost anything they could ever want or need is generally only a short drive from their homes at the nearest superstore. All of this fosters a tendency to want what we want when we want it. But the Lord does not work this way. He has His own timing which is always in accord with His perfect wisdom. Very often we can experience a temptation to do what we think is in the best interest of the truth and to do it now. But sometimes God chooses to wait before He acts. When He acts, His ways become clear and convincing and His wisdom is unmistakable (See Diary #1587). Reflect upon your desire to do great things for God or to speak the truth in one situation or another. Is your impulse from the Lord or is it your own impatience prompting you? This is an important question to reflect upon because God’s Truth can only come forth at His command, in His time. If we try to push the Hand of God we will be doing so on our own. Yes, God will use even our misguided or impatient works for His glory, but our plans done in our way will never accomplish the glorious works of God as He can only accomplish them. Reflect upon your patience with the Will of God and make an act of surrender this day. Your trust and surrender will open the doors of Mercy in accord with the perfect Will of God. Lord, I surrender to You and Your perfect Will. Give me patience so that I may set aside my own ideas and plans, submitting only to You. May I learn to wait on You, dear Lord, and act only as You command. I love You, my God. Jesus, I trust in You.